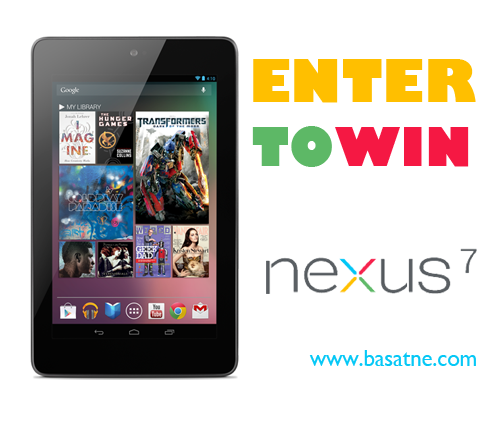 Win 1 of 2 Google Nexus 7" Tablets! Head over to Basatne's Facebook page and enter to win 1 of 2 Google Nexus 7" tablets! The Grand Prize winner will win a 16GB tablet, and the runner-up will win an 8GB tablet. Open to USA and Canada, ages 18+. NOTE: You can get extra entries by entering via Twitter here.